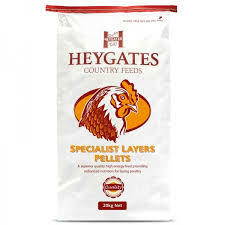 A 17% protein high energy layers ration with even higher levels of essential amino acids than the Country Layers. Designed for more intensive units, Specialist Layers will give an extra boost to egg production. The yolk colouring pigments are the same as the Country Layers.